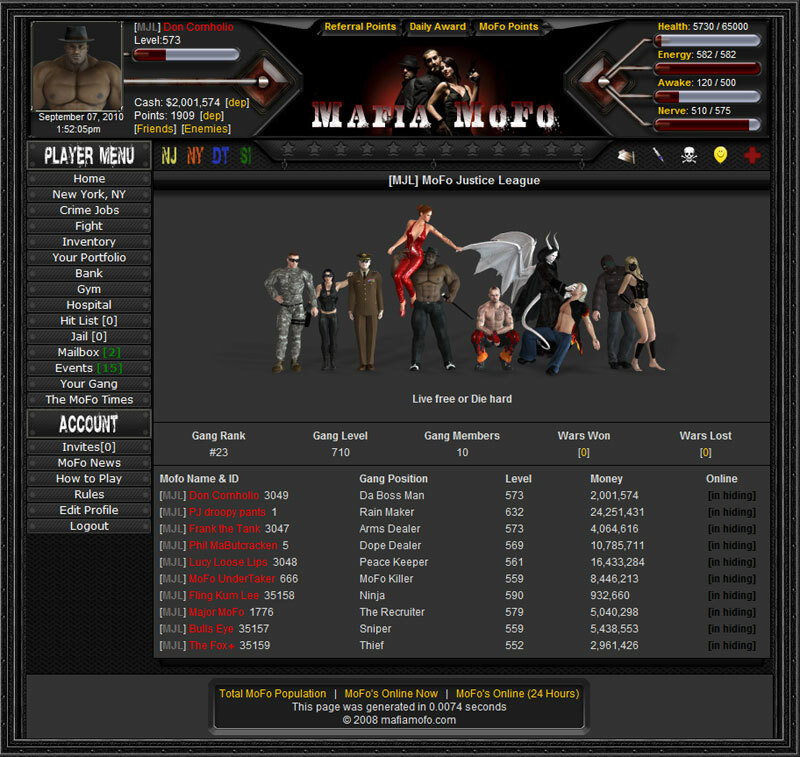 MMF is a free, browser-based mafia-style RPG and massive multiplayer online game, which means you don't have to download anything at all. 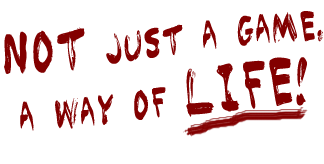 You play the game completely through your web browser, and best of all -- you don't have to pay for anything. In Mafia MoFo, you choose your own path. 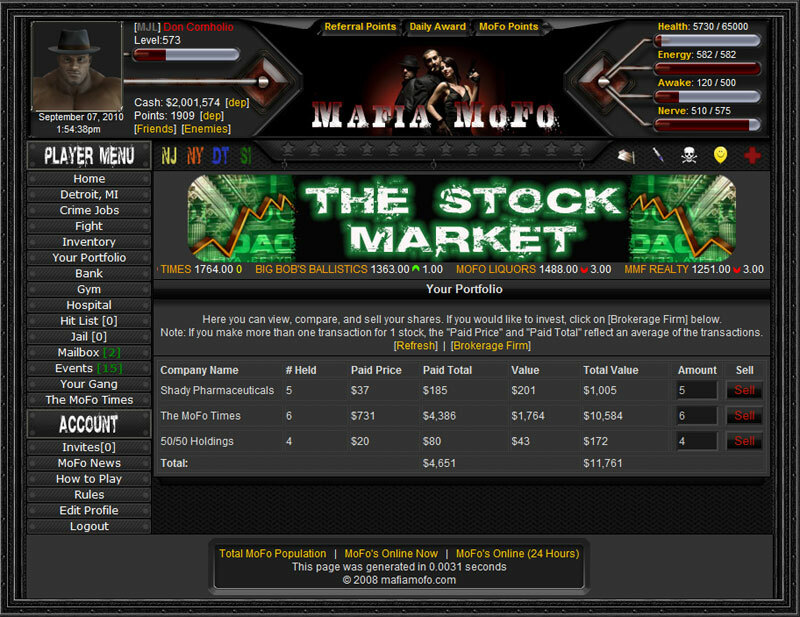 Whether you want to train your stats at the gym and become the strongest player or become the wealthiest mobster in the game. The path you choose in the game is entirely up to you! 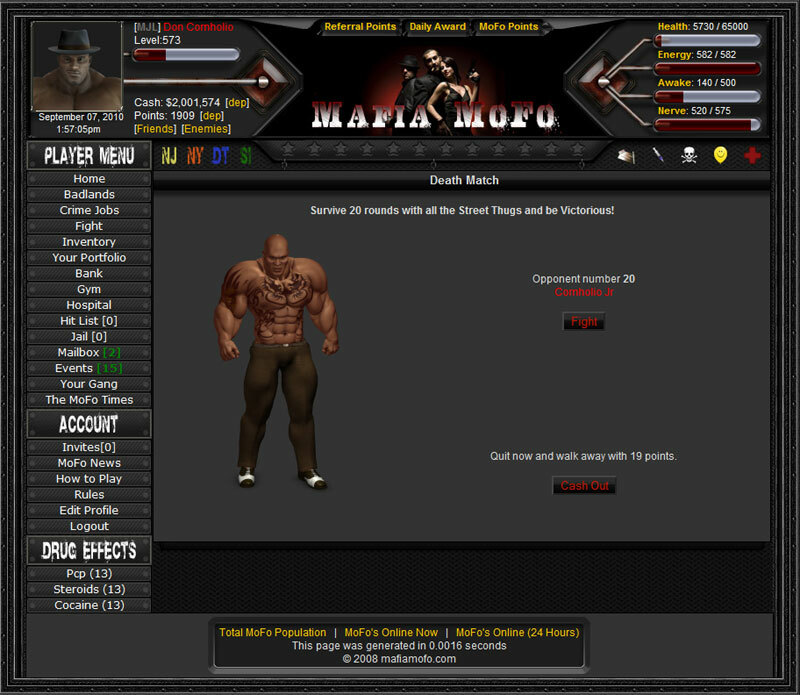 In this mafia game you can join up with other mobster gangs or possibly start a gang family of your own. You also have several choices in ways to make your mobster wealthier. 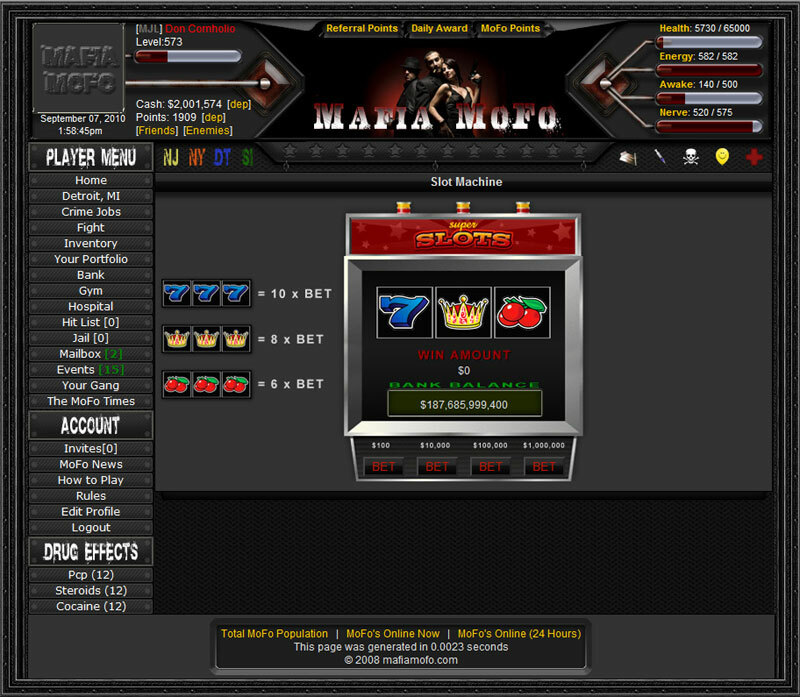 From the casinos, there are slots, craps, lottery or even bet against other mobsters in a 50/50 game. You can commit crimes that will give you cash and the harder the crime, the bigger the reward! 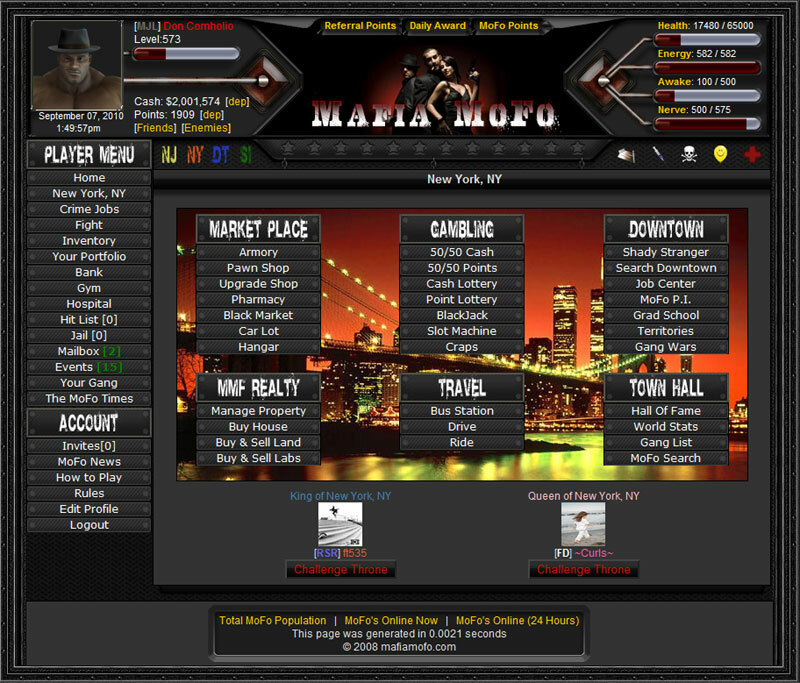 Mugging other mobsters or even killing them for a bounty is certainly always an option with any mobster in the game. You can even become a first class drug producer making more money than you can imagine. And with each new city you travel to there are even more options available to you. 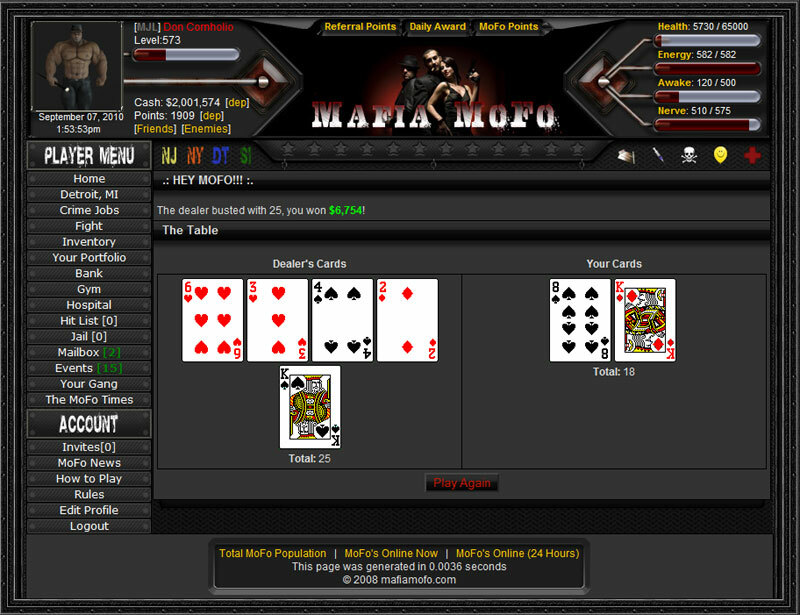 Join MafiaMoFo.com now and release the MoFo in you!